Hohenschwangau Castle has its roots in the Schwanstein fortress dating to the 12th Century. Through its chequered history, the fortress changed hands several times and was damaged repeatedly over the course of numerous wars. 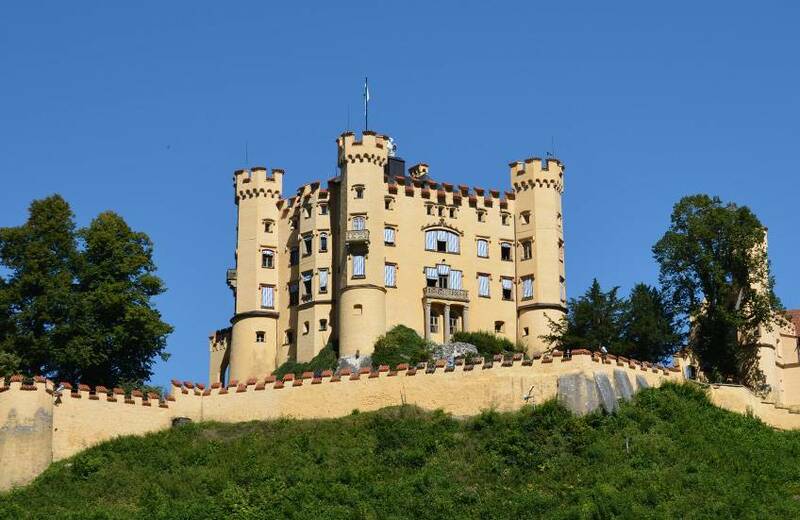 In 1832, Maximillian II, the father of King Ludwig II, commissioned a new castle to be built in the Neo-Gothic style and it has since been a grand presence in the region. The summer residence of the royal family was also where Ludwig II grew up and continued to be used by him until his death in 1886. Further information on the history of the Villa Ludwig can be found here.